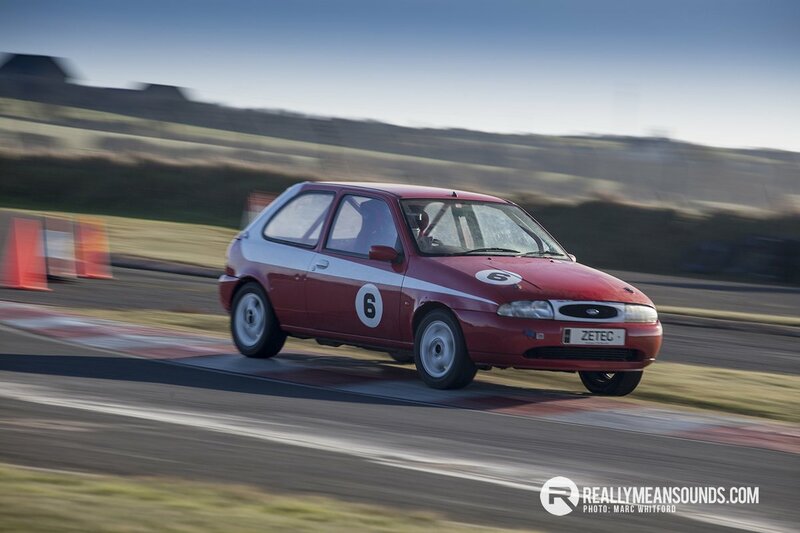 The 2015 track day season got off to a wonderful start with the Kirkistown Weather Gods playing a blinder. I was walking around in a T-shirt, on the 8th February! There was a lot of activity already at the circuit with the Rescue marshals having a training and grading weekend. Outright circuit lap record holder, Philip Shields, had provided a couple of his cars for the exercises and they were of great interest to many in the paddock. His GP2 record holding single seater (180 mph through Debtor’s!) was eye catching, as was one of his Ferrari 458s. While the GP2 wasn’t started, the Ferrari was and it sounded beautiful! We were happy to welcome some drivers who were attending their first ever Trackskills day. 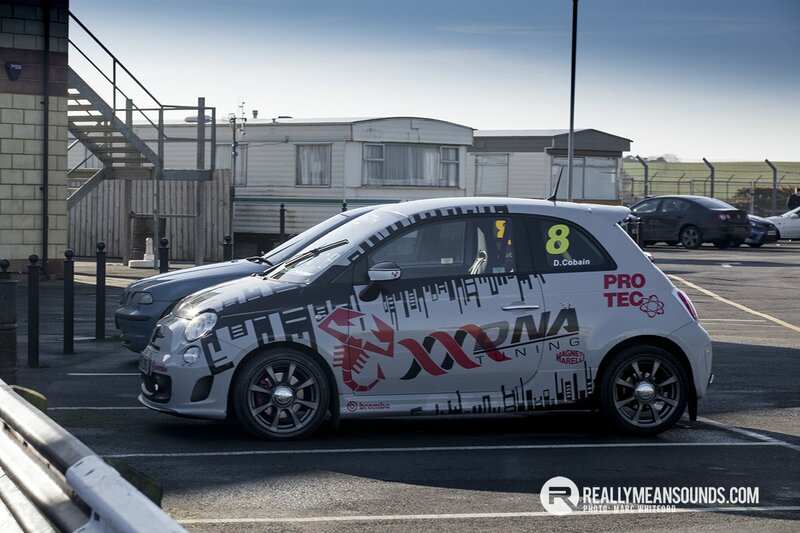 Sean Burns ended up going very quickly in his Vauxhall Astra, having built up speed steadily all day. Ivan McAteer, as predicted by some who knew, was very quick in his oil burning Golf. He definitely had an advantage over others in his group, as he didn’t have to see through clouds of black smoke! Leslie Graham had a mixed day. When his MR2 was trouble free, he went very well but the car had intermittent overheating problems, which curtailed his activities from time to time. Oliver Cormican’s was a similar story with his Evo 6, only his had a more spectacular ending, with an engine fire in the paddock. Thankfully, it was extinguished without major damage. Although the day was sunny, James Demster must have been cold in his Locost. However, he circulated quickly for most of the day and all his body parts were still attached when he went home. The car was perfect too! 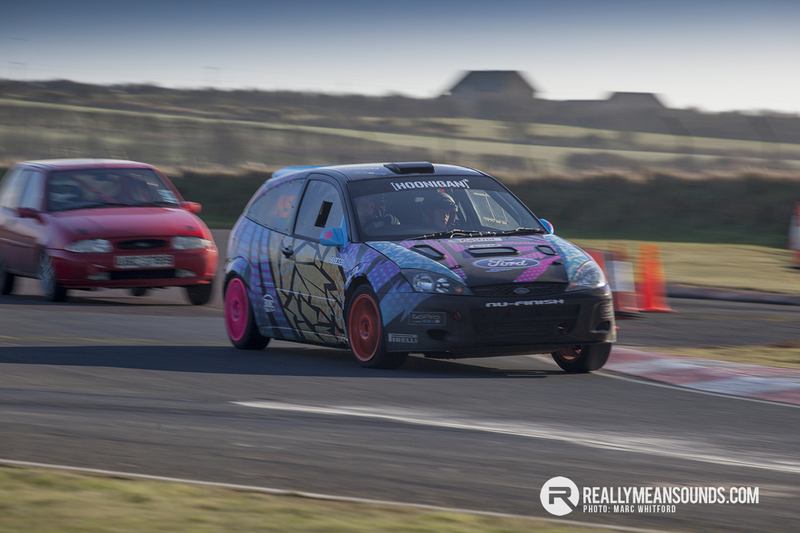 Three cars for the Kirkistown Fiesta Championship were in attendance. Roy and Paul Stewart shared one and went very smoothly all day. Jonny Forsythe did likewise in his but Desi McGlade had overheating issues from the off and he went home early. I spent a lot of time observing at various corners and the two drivers who really stood out for me were Kealan O’Connor in his very rapid Honda DC5 and Derek LeMathew in his Ford Puma. 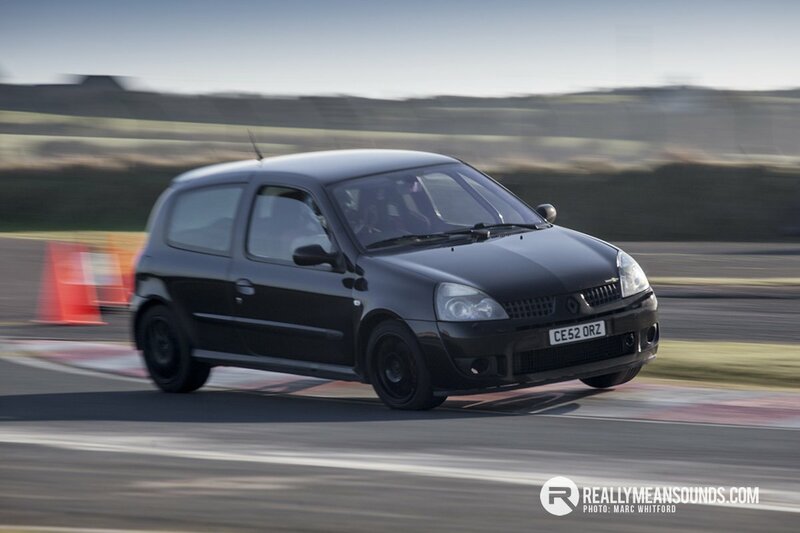 Kealan is planning on racing his car in the Kirkistown Saloons this year. He should be right at the sharp end. Given his performance on Sunday, Derek really should be racing something. He was smooth and fast in the 1700cc Puma. From what I saw, the only car that was quicker through the Hairpin was Kealan’s DC5. The regular team from Dundalk made the journey but had very mixed fortunes. 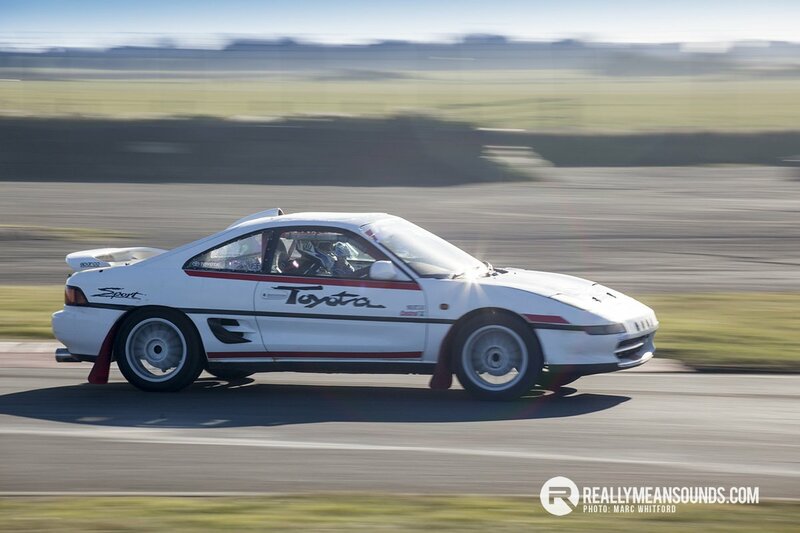 The Cosgrove Brothers’ MR2 ran sweetly but Jim Kennedy’s version expired in the first session. Even that was better than Joe McArdle’s experience. He arrived at the circuit, only to spot a crack in his front right brake rotor through which daylight could be seen! Damian Moran’s Elise did run without issue although, as he often points out, he brings his own hill with him, just in case it needs a bump start! Conor McEntee drove his Seat Leon Cupra R very smoothly, generally equalling or out performing the Mitsubishi Evos that seemed to be always in his vicinity on track. Two Renault Clios entertained on the day. Mark Mooney was very smooth and consistently quick in his blue version and Marc Dowie was very impressive in his black and newer version. I figure he got psyched up by being parked beside the GP2! The most beautiful sound on track came from Jonathan Garrett’s Audi RS4. This car was well driven all day and was such a pleasure to listen to as it accelerated out of the hairpin. Neil White spent the last nine years restoring his immaculate MGBGT and he took it out on track! It was a shade of white, so we tried to keep it away from Ivan’s Golf! (Only joking.) As one would expect from Neil, the car ran perfectly. Trackskills’ track days seem to becoming an attraction, even to those who aren’t planning on venturing on track, During the day we had a visit from a dozen or so MX5s, in convoy. We also had an extended visit from three, not quite standard, Fiat 500s. Add those to Philip Shields’ Breezemount Motorsport display and there was something for every petrol head to enjoy. As always, St John’s were providing the medical cover and they were called upon twice during the event. Both incidents occurred in the paddock. One involved a driver getting a noxious liquid splashed in his eye while the other involved a person sustaining a minor cut on a sharp object. As it is often quoted, motor sport is dangerous and not always where one would expect! The marshals did a great job as usual so thanks to both them and St John’s for their enthusiastic help.